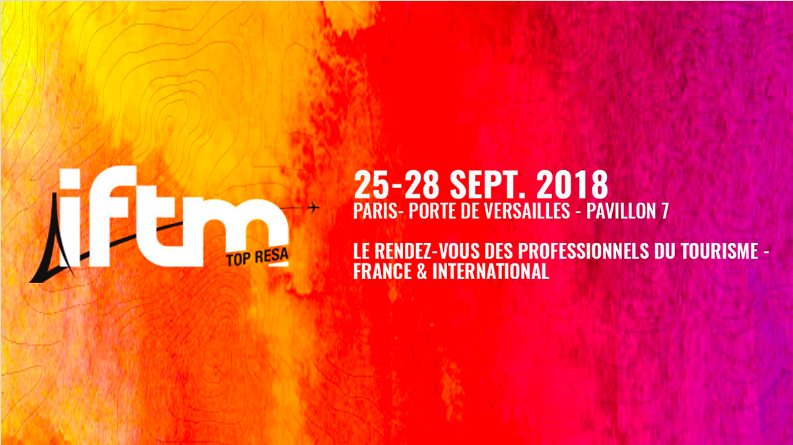 HIP Hospitality visited Paris from the 25th to the 28th of September to attend the IFTM Top Resa 2018, with the aim to promote the hotels under its management in the important tourism market of France. This international exhibition has been the leading event of the French travel industry for the last 40 years, attracting more than 32,000 tourism professionals. Through a series of scheduled meetings at the GNTO Pavilion with key players of the French and Greek tourism market, Tour Operators and travel agencies, HIP Hospitality's sales executives paved the way for new partnerships and the international promotion of the hotels under the company's management. HIP is already working with more than 520 travel agencies around the world for the 612 rooms it manages, implementing a dynamic sales strategy. "This event was strategically chosen by us, as the French market shows a lot of interest for Greece and our hotels," says HIP Hospitality's Managing Director, Panagiotis Pantazopoulos. Indeed, according to the data published by French Enterprises de Voyages and the Association of Travel Agents of France, SETO, there has been a 12% increase in arrivals and a 17% increase in tourist expenses of the French travelers in Greece, during the January-July 2018 seven-month period compared to the same period last year. What is more, for second consecutive year, Greece is the second most favorite destination in the world for the French travelers. The World Travel Market in London from 5 to 7 November is HIP Hospitality's next appointment with the international tour operators. At the same time, the hotel management and development company will present its services in Greece, participating with its own stand at the innovative 100% Hotel Show that will be held from 16 to 19 November at MEC Peania.